Should you find yourself staring at a blocked manhole, toilet of grid there are a couple of questions you should be asking yourself, firstly do you really want to be getting involved with what could be a potentially messy experience, do you have the ability and tools at hand to have a go and finally is your time and effort worth more than the cost of getting out an expert. 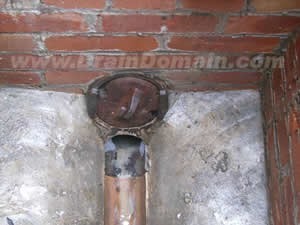 If the problem is a blocked gully due to leaves covering the gully grating then of course you should have a go, you can even borrow Bob from next doors drain rods and have a go at that blocked manhole but more often than not the blocked gully or the slow drainage toilet is only a symptom of the main problem. I wish I had a pound for every call we get after 4.30pm from a house owner who has been `rodding the drain all day` and has now `lost a couple of rods with that corkscrew thingy on the end`. 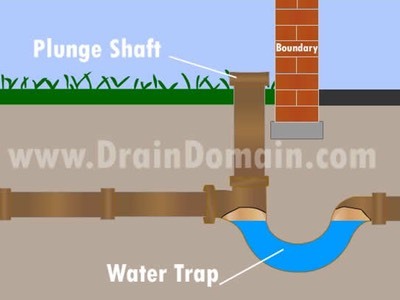 There are of course several methods when it comes to clearing a blocked drain, pipe or sewer, the correct method for each occasion is dependent on access into the affected system, are you working from an upstream or downstream position, do you have direct access into the system or are you working through or around a trap, can you afford to pump 30 gallons of water into the already blocked system before it overflows and causes some serious damage. When the first drain man crawled out of his cave he had his trusty rods at his side, we know this because we are still finding them in drains and sewers up and down the country. Gone are the rigid cane rods of the past and you now get flexible multi-coloured rods with an assortment of attachments but beware, I can well remember being in a tool hire shop in the eighties grumbling in disgust as the shop manager hired out a set of drain rods to a keen householder, i think i may have mentioned something about small contractors like ourselves losing work but i was quickly assured that very seldom did the full set of rods return to the shop, there was almost always one or two rods and a plunger left behind in the problematic drain. This is because the domestic drain rods on open sale screw together and during the process of thrashing about in a blocked drain they unscrew quite easily, especially when they become stuck and the person at the business end forgets that if he twists them anti-clockwise he`s in big trouble. Its amazing how many times over the years we find drain rods, plungers and corkscrew attachments in systems and guess what the house owner who has lived in the property for 20 years knows nothing about them or how they got their, i`m convinced there`s a phantom drain rodder skulking about in suburbia in the dead of night. Contractors tend to use lock-tight rods for this very reason, they won`t unscrew, they come in 2mtr lengths and are strong but fairly flexible. Rods are ideal for systems with access chambers and rodding points but are limited when they have to negotiate traps and multiple bends, attachments include plungers, scraping tools and retrieving heads. Blockages due to solids and paper snagging on displaced joins and sharp changes of direction can be easily cleared however rods tend to punch a hole through tree root ingress and grease and fat, so as soon as the blockage has been cleared it starts to build up again. When you have a blocked gully, toilet, sink or shower and the blockage is within the water trap a good old plunge can do the trick, this could be a modern flat plunger you tend to get with a set of drain rods or the old cartoon style shaped plunger. Problems occur however when contractors and home owners get stuck in and thrash about with a plunger on the main line drainage. The problem with plunging a drainage system is that if the blockage is an immovable object and you are pushing a plunger towards it the water has to go somewhere, not a problem if the 10mtrs from the manhole to the blockage has no lateral connections on it, should it have a branch line and that connection runs to a downstairs toilet then the waste water is going to rise at that point and before you know it you have the brown stuff flowing through the house. I`ve seen it done and i have followed contractors onto sites after they have been on the roof plunging the soil vent pipe, the rest bend at the base of the SVP has collapsed and the sewage has shot up through the downstairs toilet. 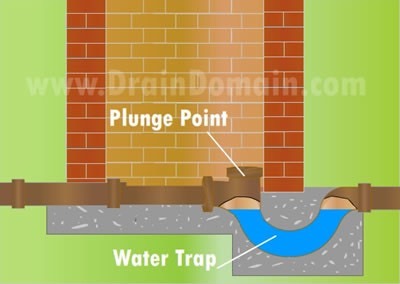 So as mentioned in the earlier drain diagnostics page isolating the blockage can save a lot of mess and expense, but if used in the right circumstances plunging is an affective means of clearing blocked drains and traps. A handy tool for clearing blocked toilets it is basically a length or flexible metal rod that passes easily around the U bends and extends to about 1.5mtrs, there is a handle so that you can rotate the rod and a retrieving head on the end should you wish to keep a trophy from your little expedition. The only real set back is you have to be careful that you don`t scratch the toilet bowl especially ifyou are at a customers house, you just know that you won`t be able to get a replacement toilet in that 1970`s mustard colour and of course the whole bathroom set matched and now needs replacing so that £55.00 you just made has turned into a major loss. Compressed air has been used for clearing blocked toilets, sinks, baths and showers for many years and ideal if the blockage is local to the trap, there are units on the market that use small canisters of compressed air or you can buy units you pump yourself to the required pressure. As mentioned above if the blockage is within the trap compressed air works fine but as usual things can get messy if you don`t make certain checks before you dive in. Lets say that the bath water is slow in draining and you assume that the blockage is near to the trap, the blockage is actually 2mtrs away and prior to the blockage is a junction picking up the connection from the bathroom sink, when you let the compressed air go it will take the path of least resistance which normally means it shoots out of the sink plug hole covering both yourself and the bathroom ceiling in the process. Not too bad if its just bath water the same scenario with a blocked toilet with a sink waste pipe connected to the outgoing pan connector could get pretty ugly. So you basically have to carry out a few checks prior to using the equipment such as running the sink taps to see if there`s any movement on the water level in the bath or toilet, if your not sure you can always put the plug in and fill the sink, bath or shower with water or even tape down the plugs. Compressed air can be pretty powerful so you also have to take into account the construction of any pipe work your working on, if you know its a solvent welded system then you should have no problem, if its push fit can you be sure that you wont blow a 90 degree bend or a shower tray trap off during the clearance, as usual all the pipes will be tiled or boxed in so the first you will know about it is when the bath water starts to drip off the kitchen light fittings below. These machines come in various sizes from hand held units for clearing sinks and bath wastes through to the enormous ones you put you back out with when trying to get them back in the van They are basically a long length of cable on a drum, the drum rotates and a gear determines if the cable moves forward or backwards, they come in different shapes and sizes with varying cutting and retrieving heads that are usually interchangeable. Ideal for working from gullies as they pass around traps fairly easily, from soil vent pipes if access is available or has been made, and to some degree from chambers if a guide tube is used, a bit savage to be used around a toilet U bends because if you don`t scratch the pan you are likely to cover the surrounding fixtures and fittings in the brown stuff to some degree. They are ideal for breaking up grease and fat local to gully pots and can be affective for retrieving tree roots. You can hire such equipment but be warned these are savage beasts and if one gets a hold of your glove or sleeve you may well find yourself going three falls and a knockout on the patio. The smaller hand held units can be used on small bore waste pipes but as with compressed air you have to be careful with regard to damaging the pipe work, a well installed push fit or solvent weld system that is supported with sufficient brackets will not be a problem, however most of these systems are boxed in so you can not be sure of its construction. I have always been sceptical about the affectiveness of these products and the integrity of some of the companies that use them in the drain clearing process. as already mentioned the slow draining sink or toilet can often be a sign that there are bigger problems further down the system. If the blockage is local to a sink trap most plumbers and drainage contractors will either plunge the trap or dismantle it, if the blockage is beyond the trap how can you know how far away it is and what volume of water lies between you and the blockage, the more water the more diluted the chemical cleaner becomes and i would assume the less affective. There are companies who will turn up on site and pour a chemical of some description into a blocked manhole before disappearing for a few hours, this is often a time wasting exercise to keep the home owner on side while they nip off and do another call out. They then return to site and start rodding or jetting in order to clear the blockage. If the blocked manhole has a 150mm outlet and the blockage is 30mtrs away how on earth is any chemical, in a measured dosage or not going to find its way through to the blockage. There are also strict guidelines as to what you can pour into a drainage system, if its a storm water system discharging into a brook or river you could well find the rivers authority or environmental authority knocking on your door. When all the above have failed to clear the blockage or you are looking to remove grease and fat or generally descale and remove silt from a system then it's time to use a High Pressure Water Jetter, there are many types of jetting units and several ways of using one effectively.